Buried in the onslaught of unfathomable news about this Congress aiding and abetting America’s wannabe tyrant, you’ll find that in a powerful House committee, enough Republicans joined Democrats to approve an amendment to stop Trump’s cruel policy of denying asylum to victims of domestic abuse and gang violence. This is a direct result of the relentless actions of the OD Action community and others around the country. So don’t let up! Your work is making a difference. And remember: November is coming. The First Lady heard about the president’s tantrum and immediately set the record straight. Take Action: Join Team Janet’s fight to take down Rep. Jordan, the Trump lap dog who allowed sexual abuse at Ohio State. The president’s bad week got even worse with a surprise Wednesday morning legal decision. Take Action: Sign the petition to demand Congress subpoena Trump’s translator and get the truth about his meeting with Putin! The president’s Russia cover-up is something not even Orwell could have dreamt up. This weekend we begin the 100-day countdown to Congressional elections. That’s 100 days until we flip the House and Senate blue and begin to hold the wannabe tyrant accountable. We also celebrate the one-year anniversary of stopping the Republicans from passing Trumpcare, when we mobilized as a nation of progressives to block the GOP from passing their agenda (read: dropping 16 million from healthcare) despite control of both houses. And more recently, we forced Trump to reverse his cruel family separation immigration policy. We proved just how powerful we can be when we act together. Now, it’s time to wield that power as we ramp into midterms. Midterms historically have lower turnout rates than presidential elections, and the majority of Americans (including Democrats) will not vote at all…unless we encourage them to do so. 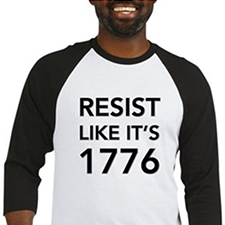 That’s why the good folks of Indivisible are launching into the final 100 days by holding a National Weekend of Action July 27-29, with nearly 200 events across the country. Join a #100DaysOut event this weekend, July 27-29. No events near you? Sign up for a phonebanking shift no matter where you live! The stakes could not be higher. Midterms will be our main chance to stop Trump’s ceaseless agenda of hatred, by taking power in Washington and flipping as many state legislative districts as we can. It’s going to take hard work: phone-banking and canvassing are the two most effective methods of gathering votes. But here’s what’s worse than a little hard work: two more years of a GOP-controlled Congress enabling the tyranny corruption Trump — with immigration, healthcare, environmental protections, abortion rights and more all on the chopping block. Avoiding that at all costs is our agenda now. Check out Indivisible’s #100DaysOut events this weekend, July 27-29, and join one near you! Too far away/can’t attend? Commit to a phonebanking shift no matter where you live! 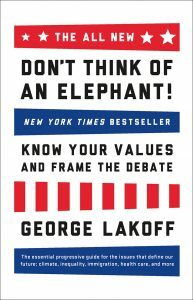 PS — Please don’t forget to sign the petition to tell Melania Trump if she wants to combat cyberbullying she should start with her husband, and check out the brilliant “Don’t Think of an Elephant” by George Lakoff — a quick read that contains the ultimate keys for Democrats to win elections — and arguments.